I have just installed TO3000. I received the "Database not found" error. What should I do? 2. Download your current version of TO3000. 3. Install the software on your PC. 4. Select the "Install an empty database" option when prompted. Important! 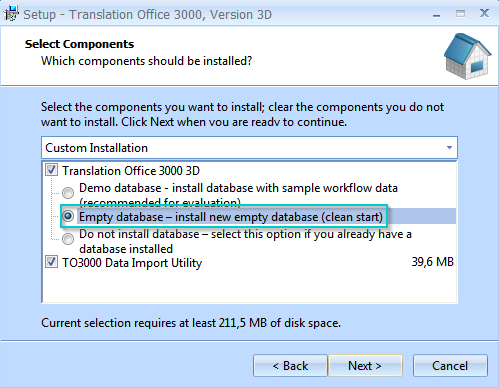 If you already have your actual TO3000 database files, then copy them into their default location: "C:\Program Files (x86)\Microsoft SQL Server\MSSQL12.P3D\MSSQL\DATA" instead of performing all the steps above.